The PM laid the foundation stone of a 200-bed National Centre for Ageing, dedicated a 300-bed Power Grid Vishram Sadan and a ‘connection motorable tunnel’ between AIIMS, Ansari Nagar and the Trauma Centre. Prime Minister Narendra Modi on Friday laid the foundation stone of National Centre for Ageing at All India Institute of Medical Sciences (AIIMS) in New Delhi. The centre will cost Rs 300 crore and it will have 200 general-ward beds, informed the Prime Minister at the ceremony. “The capacity of all the campuses of AIIMS is being increased in the light of the increasing pressure,” said the PM. After laying the foundation stone, Modi said that in the last four years, the Centre has given priority to the health sector to provide modern healthcare to the people. “In the last 4 years, healthcare has been given priority and a new directive has been given to provide modern health care to the people of the country,” he said. “Along with state governments, the Centre is trying to build infrastructure for modern healthcare all over the country,” added the PM. He said that his government’s objective is to ensure that every person in this country gets proper treatment at a low cost. “This is why we created the National Health Policy,” he said adding that his government’s objective is not only to equip hospitals with new technologies but to also find the cause of illness and eliminate them. “Dialysis centres are being built in almost every district. The poor are getting free dialysis. Around 2.5 lakh patients have benefitted from this,” Modi said. 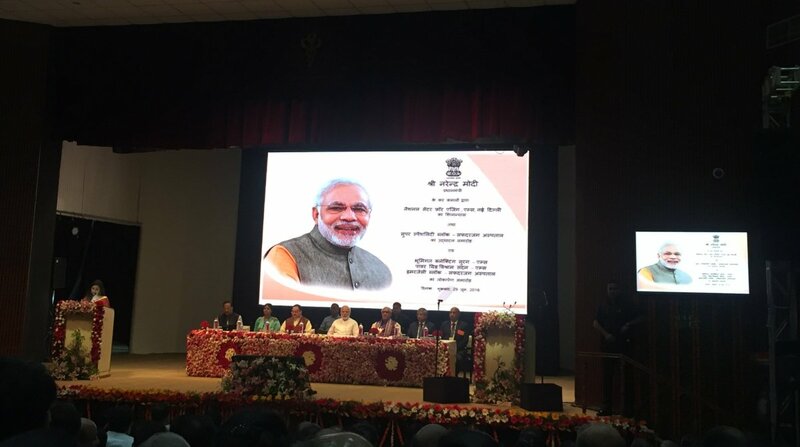 During the event at AIIMS, the prime minister also inaugurated a 555-bed Super Speciality Block in Safdarjung Hospital. The PM said that the hospital has been modernised at a cost of Rs 1,300 crore.